'Electric Avenue': Shenzhen shopping Jump to media player Rory Cellan-Jones visits Shenzhen's vibrant and bustling 'electronics street', where you can buy every type of gadget and component imaginable. 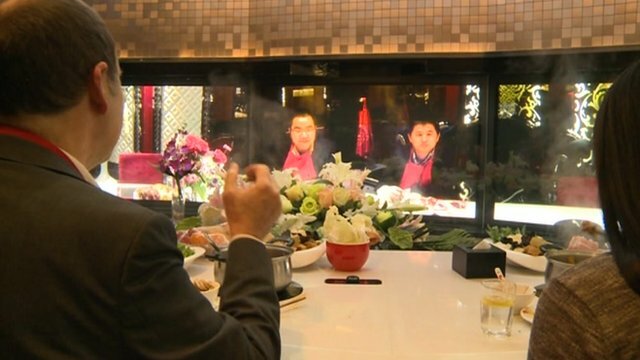 China's 'virtual' fine dining Jump to media player Rory Cellan-Jones meets the restaurateurs revolutionising China's fine dining experience using video conferencing technology. 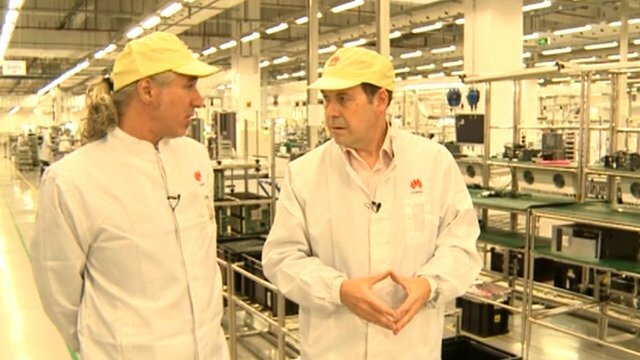 Rare look inside Chinese tech plant Jump to media player The BBC's Rory Cellan-Jones takes a tour of a telecoms manufacturing facility operated by the Huawei firm in Shenzhen, China. Chinese tech giant with big ambitions Jump to media player One of the biggest names in Chinese industry, Huawei, is a hi-tech giant, employing tens of thousands of highly-skilled engineers but the US is suspicious of its activities. 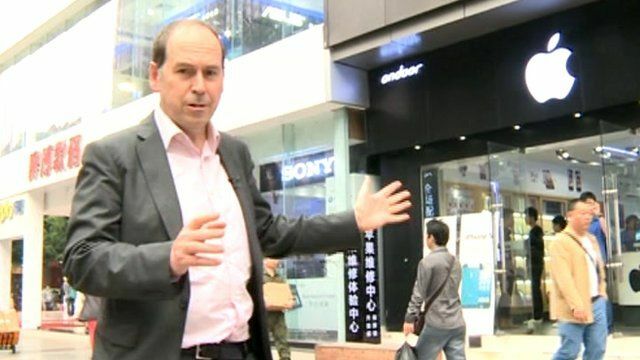 As part of his trip to China to investigate its technology scene, Rory Cellan-Jones visited Shenzhen's vibrant and bustling 'electronics district', where you can buy every type of gadget and component imaginable. However, questions remain about the legitimacy of some of the stores, in a country where copyright infringement has raised international concerns.